Born 20 December 1957, Memphis, Tennessee, USA. 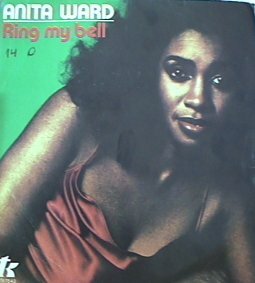 Ward enjoyed one international number 1 single during her career, a light disco song called 'Ring My Bell' in 1979. Initially a gospel singer, she was introduced to Memphis artist/producer Frederick Knight. Knight signed Ward to his own Juana label, affiliated with Florida's successful TK Records, and they recorded an album. 'Ring My Bell' was actually an afterthought; Knight had written the song the previous year for pre-teen singer Stacy Lattisaw. Ward disliked the song and recorded it only because Knight insisted they needed another dance number on the album. Ward had only one other minor chart hit in its wake, 'Don't Drop My Love' in 1979.